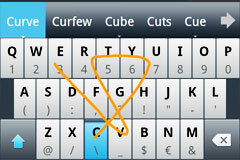 Although I'm a big fan of Swype ever since I first saw it, I'm not turning a blind eye to the amazing touch keyboards that show up in the Android market, such as SwiftKey with its almost magical predictive algorithm that can can guess what we're about to say - most of the time. 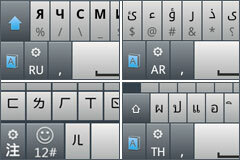 But now, it seems there's a new keyboard coming, and it offer the best of both worlds: TouchPal for Android. 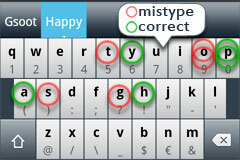 This keyboard allows you to use the "drawing on the keyboard" method of Swype, but improves upon it with predictive text and even "blind typing" capabilities - that use the relative position of your taps to write the correct words even if you're "off" to the side. 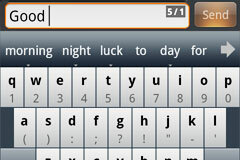 Looks like a strong contender to the Android keyboard's arena.